BASSETERRE, St.Kitts– Unpleasant words and actions of government minister Ian ‘Patches’ Liburd, 65, towards opposition parliamentarian 34-year-old Konris Maynard has prompted him (Maynard) to express disappointment while offering advice on good behavior to the much senior in age politician as a follow-up to a police report he filed this week after being elbowed by him. 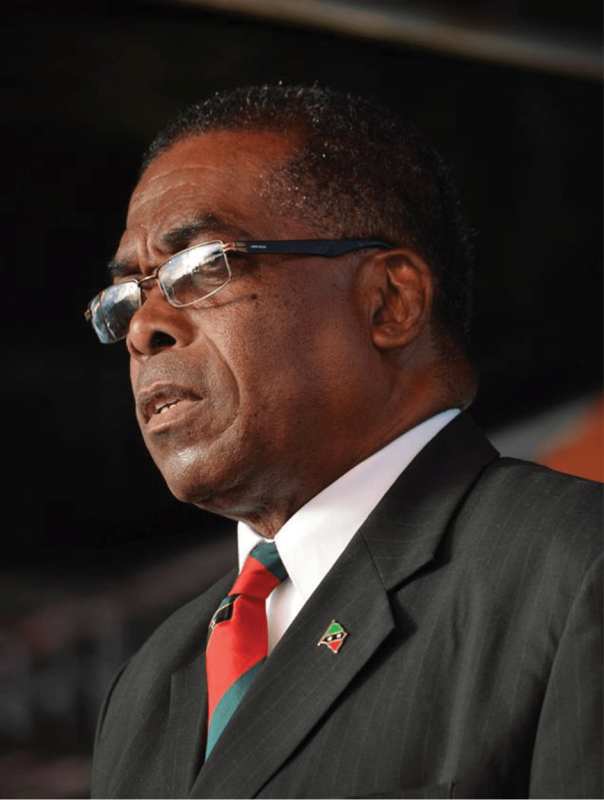 Last Wednesday afternoon (21st June) while speaking live on Freedom FM (106.5) during the weekly Labour Party-sponsored ‘Issues’ programme, Maynard recalled a public elbow shoving incident involving Liburd. As a result, he lodged a complaint on Monday 19th June. Reportedly, the event happened before the start of the opening ceremony of the Commonwealth Parliament Association (CPA) Conference held at the St. Kitts Marriott Hotel. The filed complaint has led to a police warning being issued to the East Basseterre (Constituency One) Parliamentarian of the People’s Action Movement (PAM) of the Harris-led Team Unity administration. “Consequently, because of this pattern of behavior which I have observed coming from the minister, I chose to make the complaint because I am growing concerned about his words and actions not only to me recently but what he has a reputation of . This type of behavior is certainly not what I expect from honourable members of our national assembly. While we have out political differences, it should never manifest itself in any type of violence or innuendo of violence or rhetoric of violence from any side of the political aisle,” remarked Maynard who is Parliamentary Representative for Constituency Three of the Opposition St. Kitts-Nevis Labour Party. As understood from him, the Opposition was informed by the ushers at the CPA event that there were two allocated seats at the center tables for Members of the St. Kitts-Nevis National Parliament; one (1) for a Government member and one (1) for an Opposition Member. He said just before the event started the Opposition noted that the two seats were occupied by two members of the Government side in the persons of Hon. Eugene Hamilton and Hon. Ian Liburd.